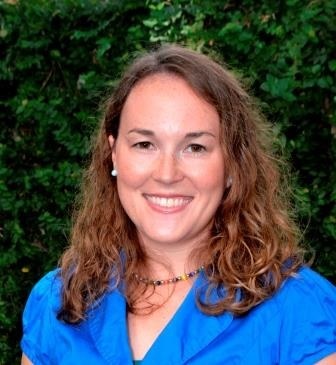 Kendra Penry has worked in the nonprofit field for many years, including currently as the Houston Community Engagement Coordinator for Heifer International, an organization dedicated to ending hunger and poverty while caring for our earth. Prior to this position, she was the Director of Programs for Houston Rescue and Restore Coalition, a nonprofit working to raise awareness and educate the community about the issue of human trafficking. Kendra’s formal education includes a B.A. in International Studies from Hollins University in Roanoke, VA, and an M.A. in International Affairs from the George Washington University in Washington, DC. Outside the classroom, she was privileged to work for a variety of organizations, including Global Youth Connect, the Mississippi Consortium for International Development, and a year as an Americorps Service Fellow with the Colorado I Have a Dream Foundation in Denver, CO.
Kendra currently serves as the head of the Fair Trade Houston movement, an effort to bring Fair Trade into the homes and businesses of Houston so that a fair food system becomes possible. This effort includes writing a procurement policy for the city of Houston which was passed in October of 2017, making Houston the first Fair Trade Town in Texas. In her spare time, she spends time with her husband, Allen, and adorable terrier mix dog named Kiko. She competes in triathlons and marathons, is a certified yoga teacher, coaches for Girls on the Run, and serves on the board of directors with Inpowered, a nonprofit bringing yoga to marginalized communities.